The Very Beginnings . . . I came home from work after a busy night shift in my Level 1 trauma center emergency room exhausted and needing a change. I finished my Emergency Medicine residency just 2 years before and stayed at my training institution which is one of the busiest ER's in the Northeast seeing over 115,000 pts per year. At that time, we were under staffed and the patient load was a bit overwhelming. (I'm sure many of my colleagues can relate). I sat at dinner that night (or my breakfast) and I randomly asked my family if they wanted to go to NZ for a year. I had seen advertisements for working in NZ and my wife and I had always wanted to take our kids overseas for a year (at that time ages 6, 9, and 15). Long story short, I went into work the next day and asked if I could leave for a year to go to NZ and just like that the planning had begun. While in NZ, I met many friends and got involved with the beginning of the Wilderness Medicine revolution there. I teamed up with a few of the local doctors and helped teach at their Advanced Wilderness Life Support courses which were the first outside the US. During our year there, we backpacked over 300 miles, rock climbed, bungy jumped, took a catamaran around the Fiji islands, Scuba dived off the coast of Australia and so much more. My passion for Wilderness Medicine had taken a much deeper root. My wife, Jenni - a physician assistant, and I at that time had discussed running our own courses when we got back to the US and thought of how much fun it would be to run our own company teaching and traveling. We love meeting new people, travel and medicine and starting our own company would combine our career with our passion. Back home, my niche in the department was now obvious and I started one of the few Wilderness Medicine Fellowships in the country and I have been the director of our Wilderness Medicine Fellowship since 2012. The spark that lit the fire . . . The picture above was taken of Aconcagua ( the highest peak in the Americas, 22,841 ft) on our flight home after a successful summit. My first Wilderness fellow, Dr. Joseph Schneider, and I enjoyed our successful summit and the camaraderie of this special group. Many of the ideas for the beginning of Wild Med Adventures, LLC began over a cup of coffee sitting at the airport on the way home with my new found friends and discussing my original dream of creating a travel medicine CME company. During our summit attempt, I met many physicians, physician assistants, EMT's, and guides that were all like-minded and very experienced. After climbing Aconcagua in 2012, our original idea to create a CME company had sparked to life. 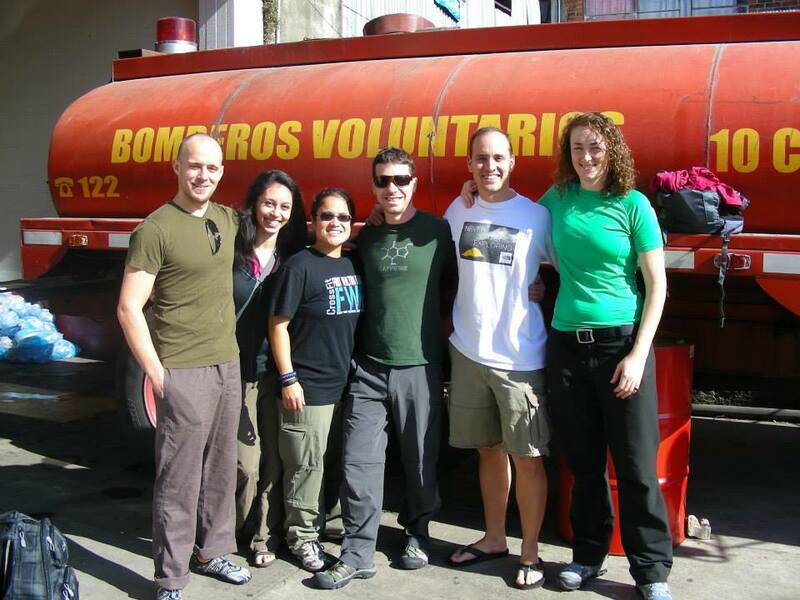 Chris Gibson, EMT/Paramedic had become a great friend and we planned our first CME trip to Guatemala where he had been living the last several years. We also had many ideas for future trips. His experience in austere environments is incredible. We wanted to create an atmosphere that offers hands-on and personal teaching designed to give the student a real life learning experience in extreme environments while forging friendships that last a lifetime. Creating Wild Med Adventures, LLC has allowed us to offer continuing medical education throughout the world and share our passion for education and the outdoors. Many of the original climbers on Aconcagua have become instructors for Wild Med Adventures and we continue to enjoy each others company and sparking new ideas for trips. Chris, Joe, Jenni, and myself have continued to build our company and try to find instructors that are not only knowledgable but fun, honest, hard-working and passionate about wilderness medicine. Our First CME Trip to Guatemala . . . (from L to R) - Dr. Gabriel Cade, Martha McKean, PA-C, Dr. Maryrose Chuidian, Dr. Grant Christian, myself - Dr. Ben Mattingly & Catherine Dudley, PA-C.